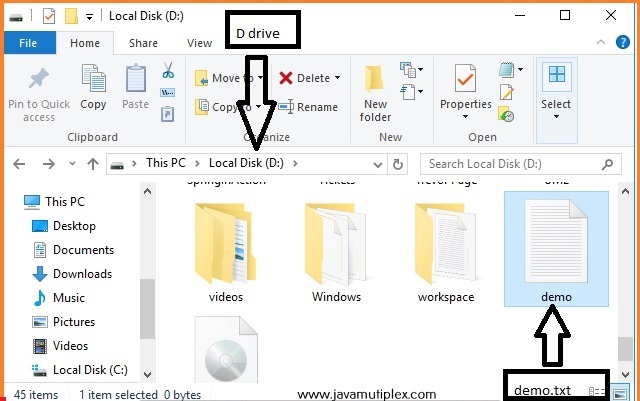 How to create new file in given disk drive in Java? Home Basic File Questions How to create new file in given disk drive in Java? Write a program in Java that creates a new file in given disk drive. We need to use createNewFile() method of File class that is present in java.io. * package. We are using below File constructor to create File class instance. Check whether given file already exists in given drive or not. If the file exists then no need to create file again otherwise create a new file. * @problem How to create new file? 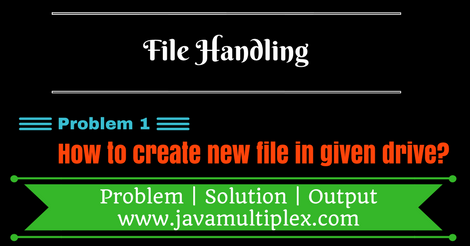 Output - How to create a new file in Java? Tags : File Handling, Create new file, if else, Scanner, BufferedReader, File, String, Regular Expressions, InputStreamReader, java.io.